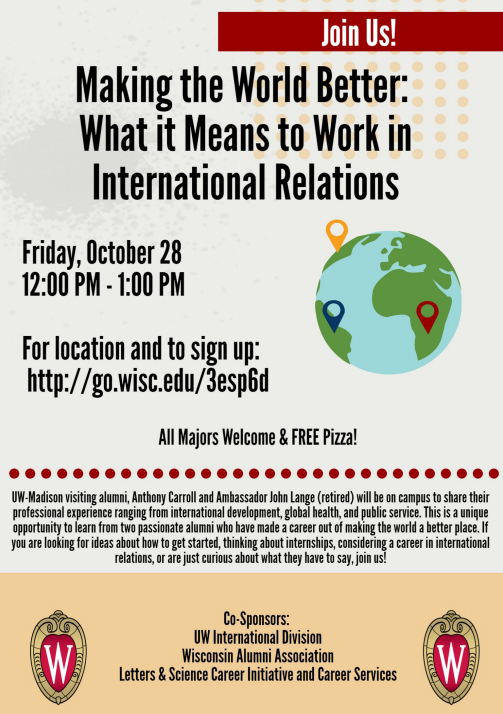 UW-Madison visiting alumni, Anthony Carroll and Ambassador John Lange (retired) will be on campus to share their professional experience ranging from international development, global health, and public service. This is a unique opportunity to learn from two passionate alumni who have made a career out of making the world a better place. If you are looking for ideas about how to get started, thinking about internships, considering a career in international relations, this is a good place to start.